Chosen as the work that best captures the “spirit of contemporary life in Boston,” local artist Adam O’Day’s “Transit” has won Boston’s Portrait of a City competition. 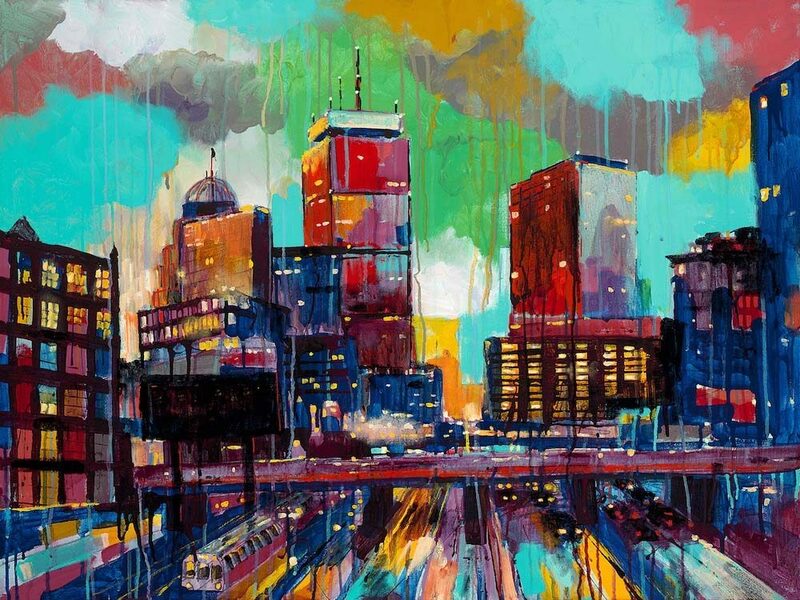 “O'Day's bright cityscape celebrates the vitality of contemporary life in Boston,” Karin Goodfellow, director of the Boston Art Commission, said in a statement. “We are truly excited that the Mayor will be representing the City of Boston to visiting dignitaries with an artwork by a local artist." "Transit" was chosen by the public from five semi-finalists selected by the Boston Art Commission and the mayor’s office.